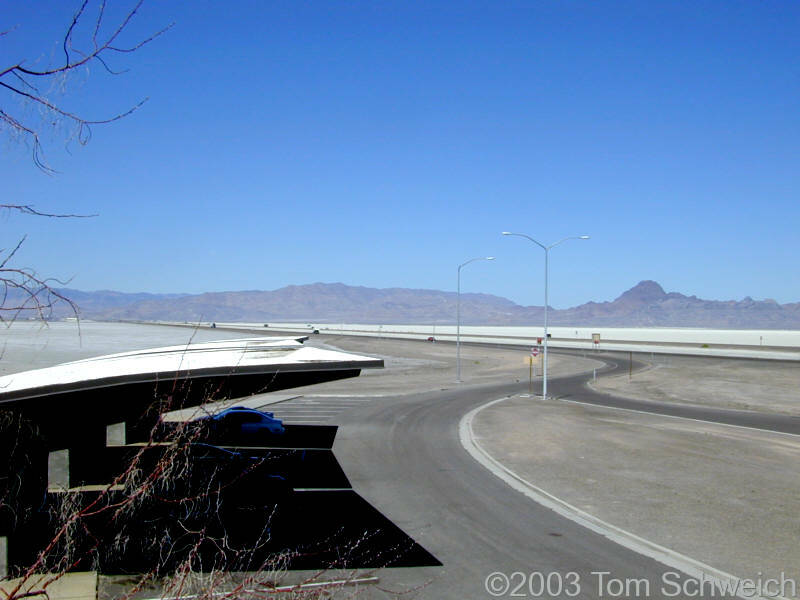 Photo: US I-80 rest stop in the middle of the Bonneville salt flats. Eastern Mojave Vegetation US I-80 rest stop in the middle of the Bonneville salt flats. Photograph taken August 17, 2003. Field Notes: 17 Aug 2003. U. S. Interstate 80: 34501. Other photos about Geography - Utah or Bonneville Salt Flats.